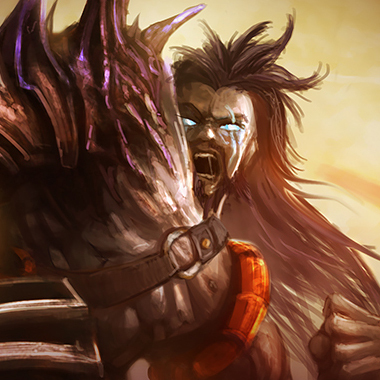 Tryndamere gains Fury every time he attacks, and his damage increases based on the amount of Fury he has. He also gains critical strike chance, to a maximum of 35%. 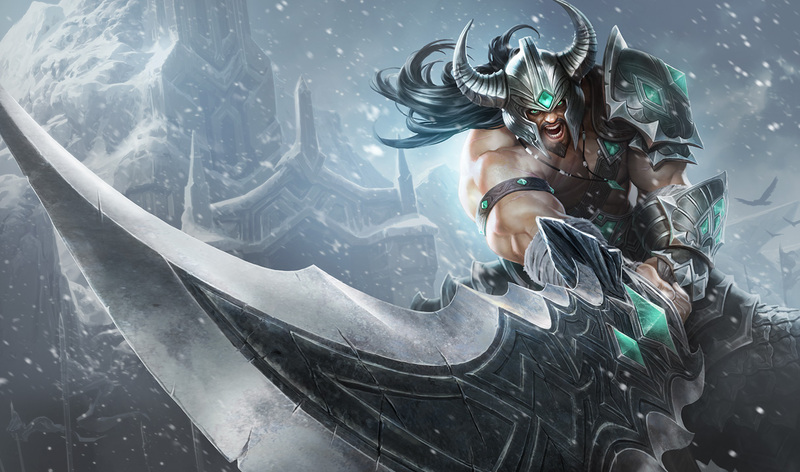 Tryndamere gains permanent attack damage, and even more damage as his health gets lower. He can activate Bloodlust to consume all his Fury, gaining health for each point consumed. 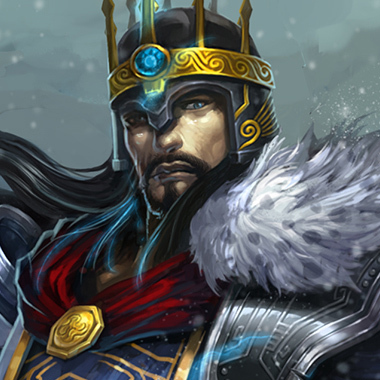 Tryndamere decreases the attack damage of all nearby enemies, and slows any enemies that had their backs turned to him at the time of casting. Tryndamere dashes to a target area, dealing damage to every enemy in his path. Spinning Slash’s cooldown is lowered every time Tryndamere crits. Tryndamere instantly gains Fury, and becomes unable to die for 5 seconds. This ability can always be used, even if he is CC’d. If possible, try to zone Tryndamere off of the minion line. He will constantly auto attack, building his fury, and look to try to fight you when his crit chance and damage are at their peaks. Many people will ignore Tryndamere in fights on account of his ultimate, but this is bad. Instead, focus him as hard as you can. Force him to burn his ultimate and run away, then all of a sudden you have a 5v4 fight. 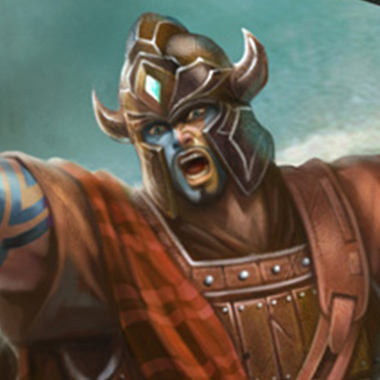 When Tryndamere is chasing you, he will likely cast his Mocking Shout. Its animation is very noticeable, and you should have enough time to turn around momentarily, protecting yourself from being slowed. Tryndamere actually has a very weak early game, assuming you can avoid letting him build his Fury to maximum levels early on. Don’t be afraid to trade with him, it’s very likely that he’ll lose early on. This is a no-brainer. Jax has a long period where he dodges incoming auto attacks, which is all Tryndamere really does. You’ll be able to out trade him throughout the entire game, and don’t really have to worry about the stereotypical level 2 all in, or the level 6 dive. 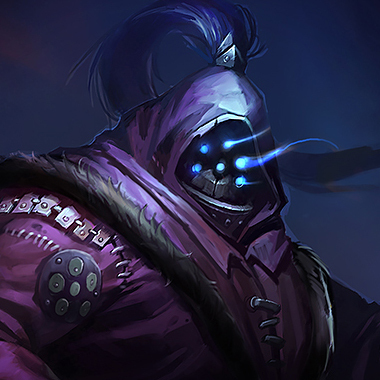 Jax is also one of the few characters that can stand up to Tryndamere’s late game, even being able to outdo him in the split push. 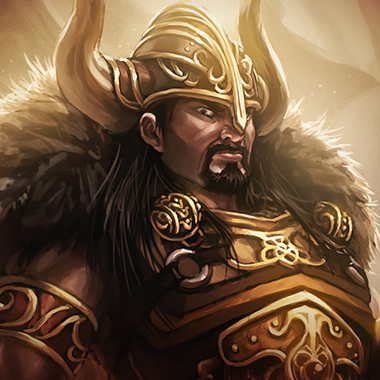 Tryndamere is generally build with high attack speed and damage, both are things that Malphite deals with very well. 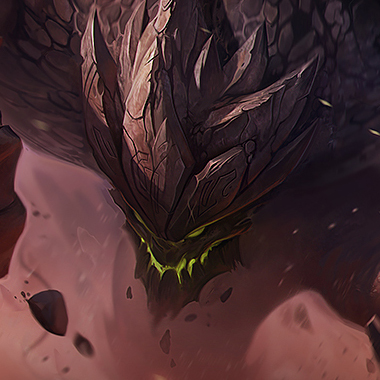 Malphite also has infinitely more impact in team fights, and can shut down a Tryndamere’s split push if necessary. In the laning phase, the first 2 levels can be a bit dangerous, but after that you should have very little issue. You won’t have to fear his diving potential, especially after you get a pair of Ninja Tabi and a Sunfire Cape. This is a brutal lane for Tryndamere. You have almost equal amounts of sustainability, higher damage, higher health, and similar mobility. Talk about a nightmare. If Tryndamere tries to cheese you at level 2, you win. If he tries to dive you at 6, you win. If he tries to farm, you win. 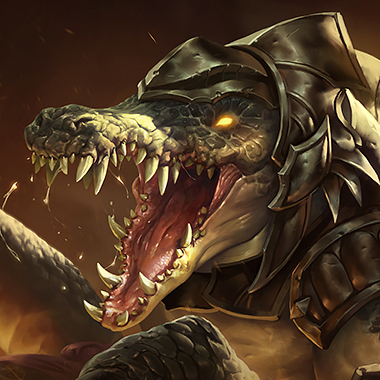 This lane is all around ridiculous if you’re even decent with Renekton. By far my favorite matchup. The one trap you don’t want to fall into is building a damage item first. For example, a Titanic Hydra is fine, but Ravenous is not. Save it for your second item. Or, better yet, just build full tank because you’ll be a monster anyways. Another really tough lane for Tryndamere. 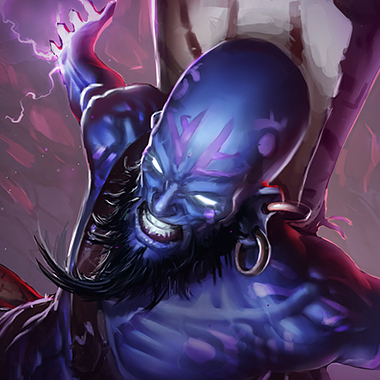 He’s a melee guy, which Ryze absolutely destroys. If he uses his Spinning Slash to get in on you, you’ve already won the trade. Back up a bit, drop a root on him, then blast away. Early on you may encounter a bit of difficulty (level 2-4 perhaps), but after that you should never lose a trade. If he dives you under turret you can simply root him, pop your ultimate and run away. Or, if you can manage, keep him locked under turret for free kills. Thornmail and Ninja Tabi are very, very good against Tryndamere. There’s almost no matchup (except for Ryze) where I won’t buy Tabi very early on and just look to out trade him all day. The less farm he gets early on, the later his power spike, which is very good news for your team. Thornmail is great against him as well, seeing as 99% of his damage comes from auto attacks.